Have you ever tried to describe to a mechanic the funny noises your car has been making? You spend a couple of minutes performing verbal acrobatics to reenact the sounds you are hearing. They politely listen until you are done, because in the end they are going to take your keys and drive it around the block to hear the issue for themselves. Your FIBC supplier should be like a mechanic for your packaging. They are technicians, anxious to fix issues and get your vehicle (factory) running smoothly. That is, if you are working with a supplier who has technical knowledge of bulk bags and experience with a variety of customers. We will assume you are working with such a supplier, because who would take their car to a mechanic who has never driven a vehicle? The average Purchasing Manager has a lot on their plate. Once they’ve established a supplier and made introductions, they should be able to trust that vendor to work directly with the production plant locations to understand their processes and the application of the product(s) they are supplying. This frees them up to focus on other aspects of their role. Not every Purchasing Manager is like this, of course. Some are more hands-on, especially if they are a commodity manager or if they run a smaller operation, but either way, you need a supplier with whom you feel comfortable collaborating. No matter the style of Purchasing Manager, if they receive a call from their Production Manager complaining about bulk bag performance or supply shortages, there is a bigger issue than just the quality of the bag. A reputable supplier will have a solid working relationship with your plant and a strong line of communication. 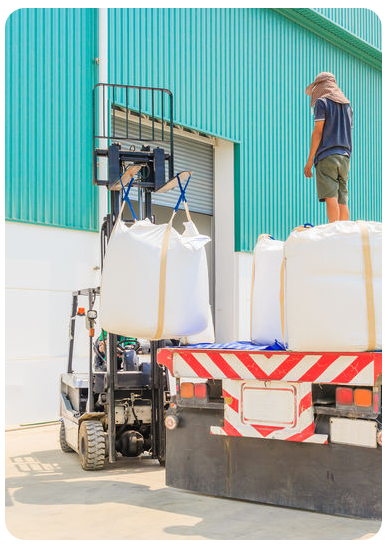 A solutions-oriented bulk bag supplier can come into your production plant, speak to a few key people and simply observe how the bulk bags are handled, filled, stored and shipped out. This is vitally important to the design of the bulk bag. How well does the fill material disperse? How long does it take for the material to settle? Is there room left after filling? Is your staff handling bulk bag liners correctly? 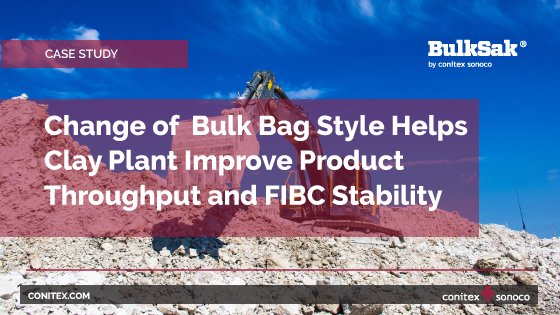 How does the bulk bag perform when lifted, transported and stacked? How and where is your bulk bag stored? Is the bulk bag labeled? If so, how/when? How does the bulk bag fit the pallet? How do line operators interact with the FIBC? ...and many more observations for which an experienced bulk bag supplier will be looking. If your FIBC supplier hasn’t spoken to your line operators handling the bulk bags on a daily basis, get them in for a visit as soon as possible. If they haven’t asked to do so, you may want to consider a new supplier. Learn how our field sales representative used a site visit to help one of our own customers.